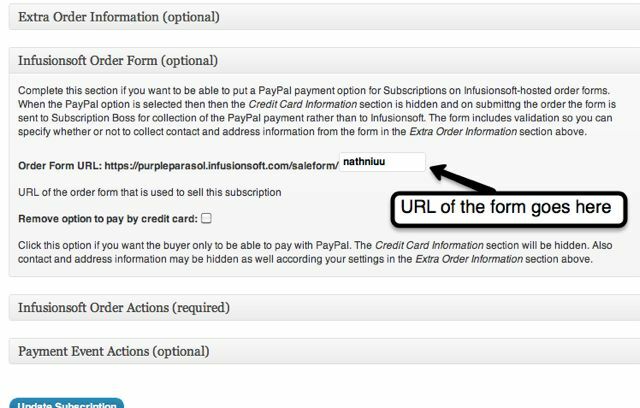 With the improved integration of SubscriptionBoss 1.14 with Infusionsoft, you can now add a PayPal payment option to Infusionsoft hosted order forms. 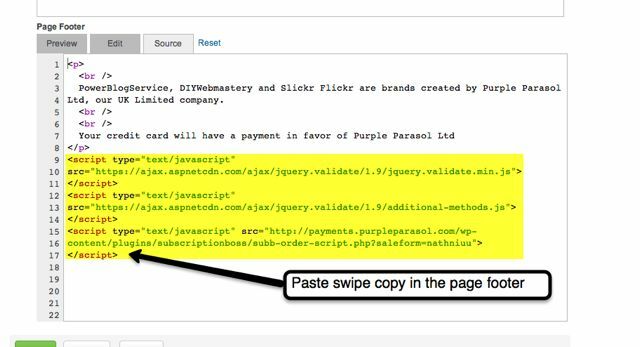 IMPORTANT: if you have an SSL certificate installed on your WordPress site then replace the http by https in the last line of the copied code – this stops the browser from issuing a warning message when the order form is sent to the plugin. Log in to Infusionsoft, edit the Order Form and paste the code into the page footer having clicked on the Source tab. 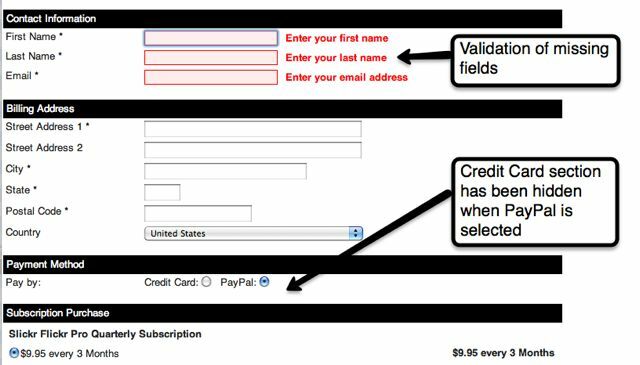 Note that there is now a Payment Method section before the Credit Card information.